Busch-Lauer, Ines-Andrea. 2018. Bibliography of Recent Publications on Specialized Communication. 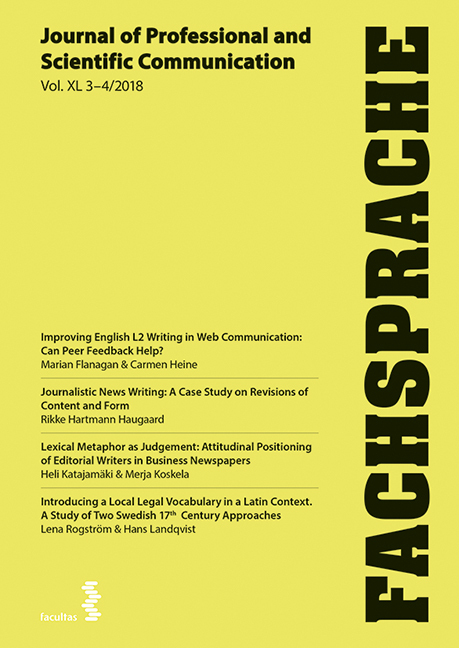 Fachsprache 40 (3-4), 184-94. https://doi.org/10.24989/fs.v50i3-4.1710.